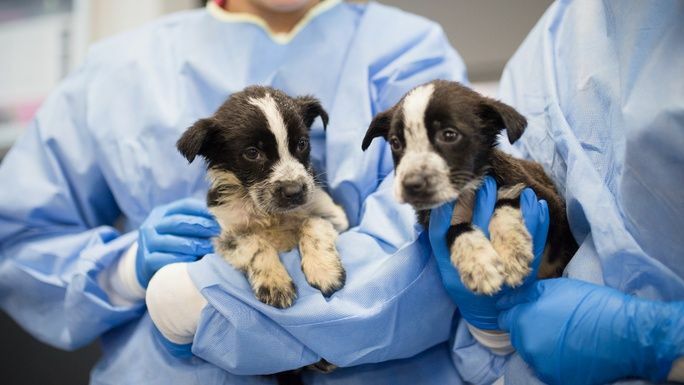 RSPCA QLD need your help to save Border Collie cross puppies! RSPCA QLD need your help! RSPCA Qld Inspectors are calling for information after eight Border Collie cross puppies were found dumped on the north side of Kev Hooper Memorial Park in Abelia Street, Inala on the evening of Wednesday August 22. They were in critical condition. The litter was found by a member of the public and taken to the AEC 24 hour vet clinic in Wooloongabba. Sadly, it was already too late for one of the 5-week-old pups which was deceased upon arrival. They were brought into the RSPCA Domestic Animal Hospital at Wacol yesterday for urgent treatment. Sadly only three of the eight pups remain after four more pups succumbed to their illness yesterday. The three remaining puppies are receiving round-the-clock care at the RSPCA. They are malnourished, suffering from hypothermia, conjunctivitis and life threatening Hookworm infestations. The next 48 hours are vital to their survival and they have an even longer fight ahead. If you would like to help these puppies, please donate today. 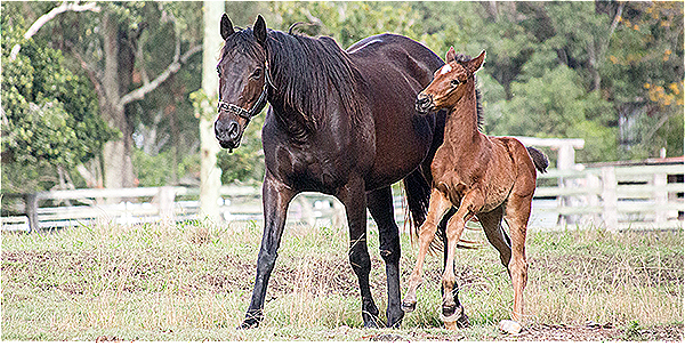 ”The Royal Society for the Prevention of Cruelty to Animals Queensland (RSPCA Qld) is the state’s oldest, largest and leading animal welfare charity, dedicated to improving the lives of all domestic, farmed and native animals throughout Queensland. We are the leading animal welfare charity in Queensland, currently rehoming more animals than any other organisation in the Southern Hemisphere. As a non-government, community based charity, we are the only charity with the power to prosecute animal cruelty and neglect. We care for displaced domestic pets across the state as well as native wildlife patients in our Brisbane RSPCA Wildlife Hospital. Each year over 50,000 animals need assistance from the RSPCA. RSPCA Qld requires $48 million annually to support our animal centres, programs and services. RSPCA Qld, a community based charity, receives less than 3% of funding from the government and relies on donations, bequests and sponsorships. Our emergency appeals are for animals that have been rescued and are in desperate need of specialist surgery and rehabilitation. These types of cases require urgent attention where we ask the general public for donations in order to help raise the required funding. Our campaign Bets for Betty is no different, Betty was a race horse, bred to provide entertainment for humans & to win lots of money for her owners. After she sustained critical injuries her value reduced and she ended up in our care. The campaign was launched at the same time that a National horse racing event in Australia took place ‘Melbourne Cup’ with a simple message “will you bet on Betty’s future and make a donation today”. RSPCA seized Betty that day based on the lack of treatment that had been offered to Betty in recent years and she began her long journey to recovery. We bet on Betty’s recovery and also made sure her pregnancy was viable and that Betty could have a new start at life – one free from racing! Each horse that comes into RSPCA care costs an average of $1,000 per month for food, vet care, medications, feet care… and the investigation and prosecution side of many of these cases is so much more! RSPCA attended over 2,500 horse related calls in the last 12 months alone and we currently have 9 horses in foster care! This November horse related animal welfare, care and protection will cost $26,000! Please can you help others like Betty by donating today and not betting on horse racing? For this we turned to Chuffed to help us call out to the general public and raise the funds needed for Evie’s specialist surgery and rehabilitation care. Chuffed’s platform gave us the ability to have a fundraising page up for Bets for Betty in a matter of hours, as well as being able to take and process donations immediately thanks to their Stripe plugin. Even providing our sponsors with immediate tax invoices is handled through Chuffed’s sophisticated system and for us this has meant taking the administration burden off our accounts department.